This is a follow-up article from our KVGM 2017 Winners! blog post on March 13, 2017! Game Box art on display at our booth at GDC. It's probably safe to say that at some point when each of us were kids and first introduced to the crazy world that is NOW video games, we all dreamed about one day making all these cool video games for a living. Our buddy, Kai, plans on it. Kai was our grand prize winner for this year's Kids as Video Game Makers contest which culminated last weekend at GDC in San Francisco. Kai's game: Iggy the Coder beat over 2,500 other entries and was showcased amongst some of the top video game designers in the world. Essentially, Kai and the other Top 3 winners were showing off their work right there with the big shots of the gaming industry. And, let me tell you: they shined! Fast-forward to January 2017, we launch Kids as Video Game Makers 2017 and Kai – who is no stranger to Bloxels – registers to enter. The theme of the contest was “Build Your Future”, and for a kid like Kai who already knows what his future holds, this was a no brainer. And so he got to work. Within a few days “Iggy the Coder” was complete and in front of our panel of judges. GDC is typically only for adults 18 years and older. But, with a few phone calls and some pulled strings by our co-founder & Creative Director Daniel James Wiseman, we got Kai and his sister into GDC – the ultimate video gamer playground! Jared (KVGM16 Grand Prize Winner, left) and Kai (KVGM17 Grand Prize Winner, right) being the 13-Bit Builders they are, with Kai's sister, Mya (middle). Kai and one of our judges, Kurt Klynen. We had some of the judges there for the big announcement too! Kai got a chance to meet Kurt Klynen – a teacher, author and presenter from Belgium. You should've seen Kai's face when he found out kids in Belgium were playing Iggy the Coder! Then Kai met Carol Tang – Executive Director at the Children's Creativity Museum. 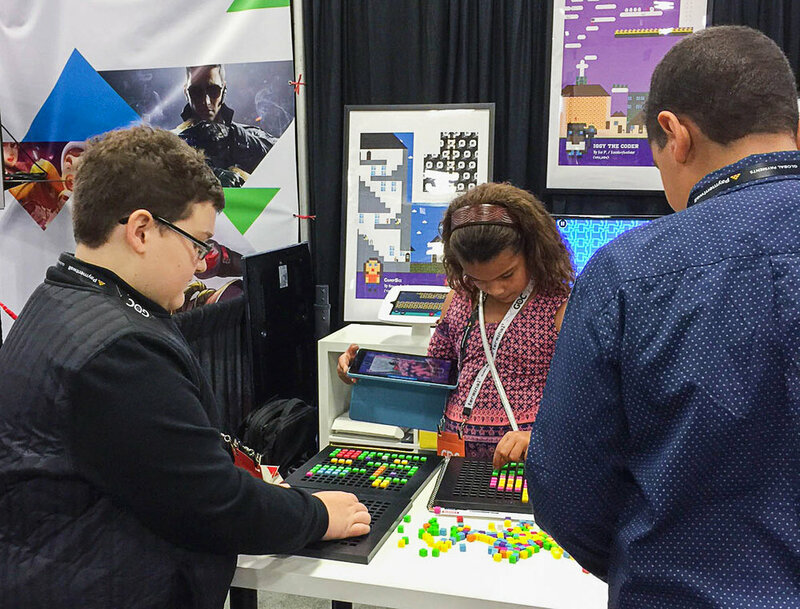 Carol helped us make KVGM what it is, by working with us to host the very first Kids as Video Game Makers at the Children's Creativity Museum alongside GDC 2016. Carol Tang – KVGM Judge – of San Francisco's Children's Creativity Museum and our winner, Kai. After getting lost in a sea of VR headsets, crazy tech gadgets and a plethora of 32-bit heroes, Kai and his family returned to the North Hall of Moscone Center to check out some of the Independent Game Developer booths. There, I got a chance to talk to Wendy about Kai's goals to work for Nintendo some day. This is where opportunity presented itself. Two aisles from the Bloxels/KVGM booth was the Nintendo recruitment booth. Literally, behind the two workers, were rows of tiny makeshift offices for interviewing potential hires. I let Wendy know about it and how I was going to take Kai over to meet them. She lit up. Then proceeded to explain how “he would never go with [her]” and that she would love if he could meet them. So, after Kai was done with yet another tour in virtual reality, I went up to him and said I needed to show him something. He followed along as I guided him to the big red booth with a jumping, fist-pumping, mustached plumber and the word Nintendo plastered on the side. I introduced myself, explained to “Jonathan” (to be quite honest, I don't really remember his name, so we'll just go with that) about KVGM and how Kai beat over 2,500 other kids to win our Grand Prize and that the only thing Kai wants to do is work for Nintendo. I asked “Jonathan” if he had any advice he could give Kai to help make that happen, and then Jonathan being the sport that he is, went on for nearly 20 minutes on what it would take to work for Nintendo, what paths Kai could take and even dove into what classes and programs Kai would need to learn the various roles in video game design and development. Kai was ALL EARS! I don't think he blinked once while “Jonathan” was telling him about the ins and outs of becoming a Nintendo game designer. The way we see it: Kids deserve to be empowered. They deserve to not only be told that they are capable of doing anything they put their hearts into, but also shown & proven that they can do it. 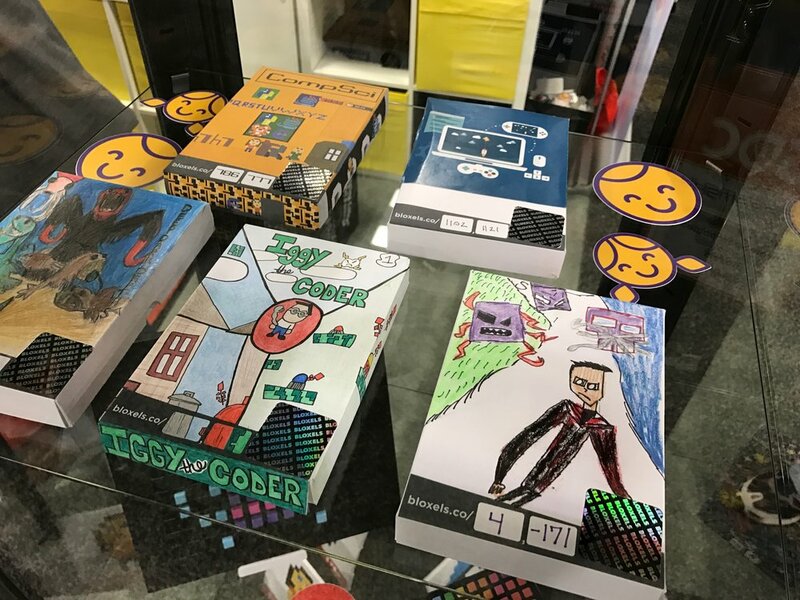 Kids as Video Game Makers isn't some contest Bloxels & Pixel Press put together to promote ourselves and drive sales of the product. It was created to be a platform that allows kids to bring their imaginations & ideas to life thru video game creation and digital storytelling. We hope it serves as a catalyst to prove to kids just like Kai & all the others that entered KVGM17 that they're on the right track to reaching their goals and living out their dreams every single day of their life.